Before 1963, when it came to driving shoes, form and function were not married, or even seriously dating. People who cared about both wore plain, studded slip-ons for driving, and carried a second, more stylish option, for when they reached their destination. Then Italian shoemaker Gianni Mostile added rubber plugs to the soles of a pair of elegante moccasins, and suddenly driving shoes were no longer too heinous to do anything else in besides drive. Of course, life in and outside the car has come a long way over the past 53 years, so we got together with JackThreads footwear master Michael Vincent to reinvent the driving shoe for today's sneaker aficionado. Inspired by the all-new redesigned Honda Civic, we're elevating the basic functionality of the driving shoe, and giving it a style that says "Okay, it's time to acknowledge that we've entered a new millennium." 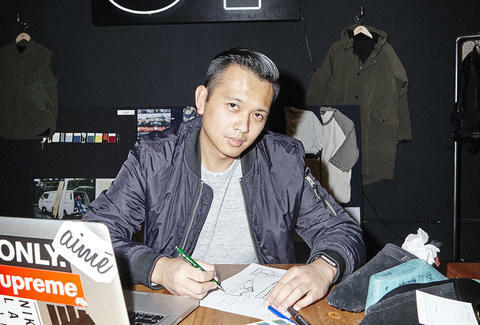 “We wanted to create a shoe that’s unlike anything we’ve seen before -- something sleek, cool, luxe, and futuristic, but also functional behind the wheel and on the street," says Vincent. The shoe features the pragmatic and visually pleasing benefits of a clean, simple, multi-layered upper, with premium athletic materials. 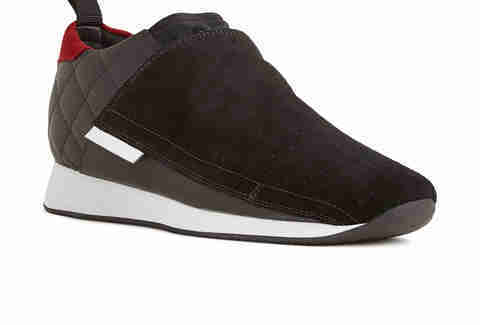 That means breathable materials like perforated suede, Neoprene, and soft pebble grain leather, and a magnetic closure. The design was officially unveiled last night at the HT3 Kickoff event, and is available for sale on JackThreads. Car not included.